Men with cool girlfriends and wives, rejoice! Band of Horses has just armed you with the perfect Valentine's Day gift: Acoustic at The Ryman, a 10 song virtual greatest hits set of acoustic renditions of songs from across the Band of Horses catalogue. Recorded at Nashville's legendary Ryman Auditorium (best knows as the former home of the famous Grand Ole Opry) over two magical nights in April 2013, Acoustic at The Ryman will be released on the 7th February. In addition to standard digital and CD versions, Acoustic at The Ryman will be available on 180 gram vinyl as well as a high quality 24 bit 96k WAV version. Standard digital, CD and vinyl versions are available for pre order with bonus bonus tracks at Band of Horses. Having captured this two-night-stand’s worth of singular performances that the Nashville Scene said “brought to mind the best efforts of Eagles and Crosby, Stills and Nash,” Band of Horses set about translating the energy and electricity of The Ryman document into the closest possible experience to having been there. Using the latest hardware from DSD recorder manufacturers Mytek, Band of Horses mixed the record in the band’s hometown haunt of Charleston Sound. 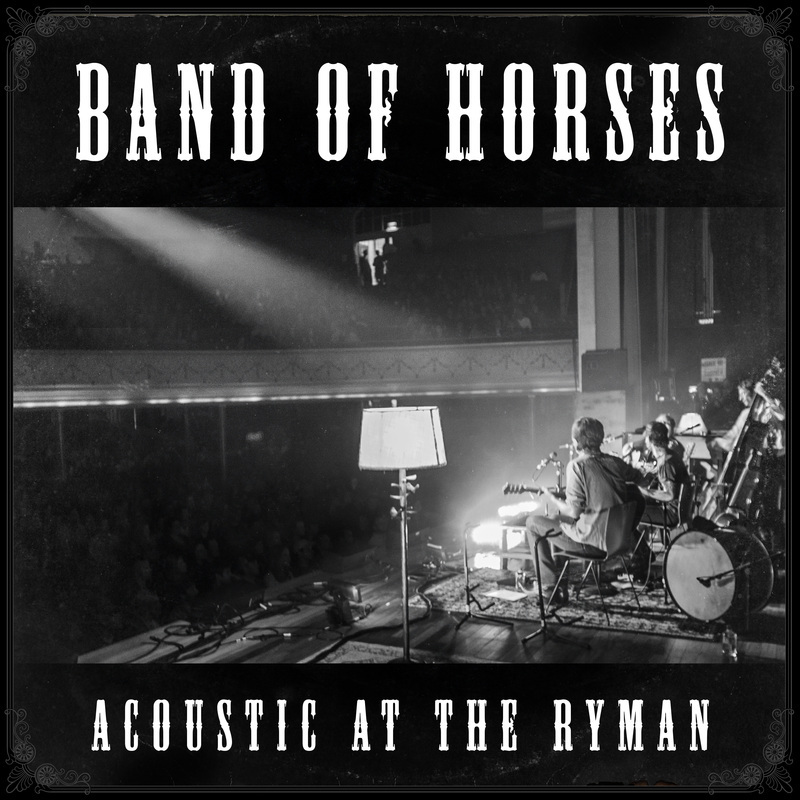 As a result, Band of Horses: Acoustic at the Ryman is one of a mere handful of non Classical/Jazz albums mixed and mastered in the DSD format, capturing the ragged magic of an unforgettable performance in dangerously pristine quality. ”The game plan was to keep it wild and expressive like the show while capturing it with highest resolution available,” says the band’s Bill Reynolds. “The electricity in The Ryman was off the charts. If that makes it to the listener, then we’ll consider this a success”.